Go Hike Colorado: FS Trail #606 = Reynolds Ranch? FS Trail #606 = Reynolds Ranch? 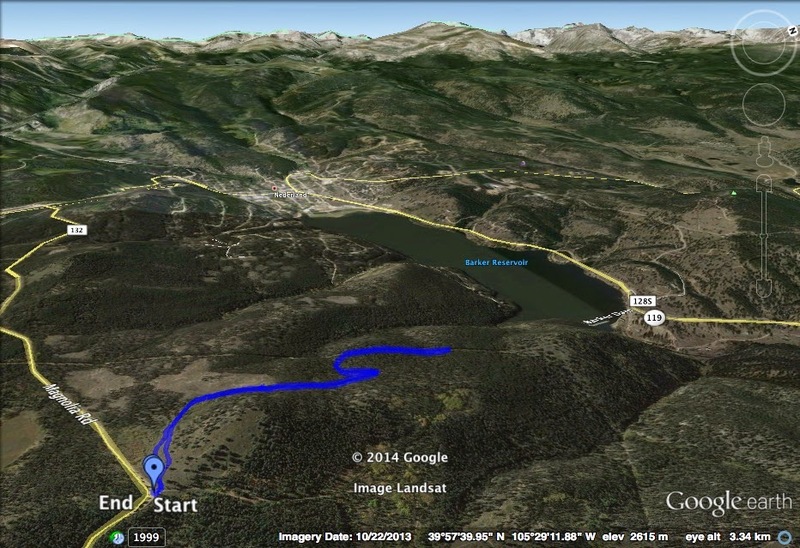 Directions: This trail is located on Magnolia Road west of Boulder. From Boulder, take 119 west and make a left (south) on Magnolia Road. Follow the road for about 10 miles. At a turn in the road you'll see a turnoff for parking, a forest service trail marker, and the trail itself off to the right. As I was exploring Magnolia Road, 'cause I've never been there and it seemed cool, I stumbled upon this trail. It is marked as Forest Service Trail 606, closed to motor vehicles but open to all other recreational uses, so I explored it for a little bit. Turns out that .3 miles up the trail, there is an amazing view of James Peak, Eldora Ski Area, the Indian Peaks, and even Longs Peak! I traveled a little further but turned around about .75 mi in, as I was running out of time. Just about when I turned around I found a small sign for Reynolds Ranch Open Space.